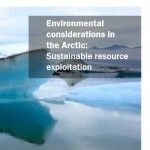 Russia and other Arctic nations are seeking vast commercialization of Arctic oil and gas resources, as well as quicker freight shipping via the Northern Sea Route. In Bellona’s opinion, these efforts threaten to obliterate one of the world’s last pure ecosystems. 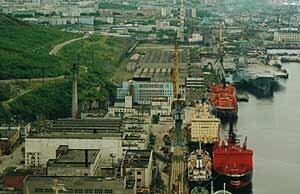 The 8th Russian nuclear icebreaker will be completed in 2005, 60-years anniversary of the Second World War, ITAR-TASS reported. 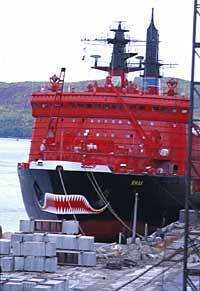 The Russian State Nuclear Regulatory approved further operation of nuclear icebreaker Arctica. The remediation of the nuclear storage ship Lepse is dependant on whether the EU and Russia sign multilateral agreement at the next summit.